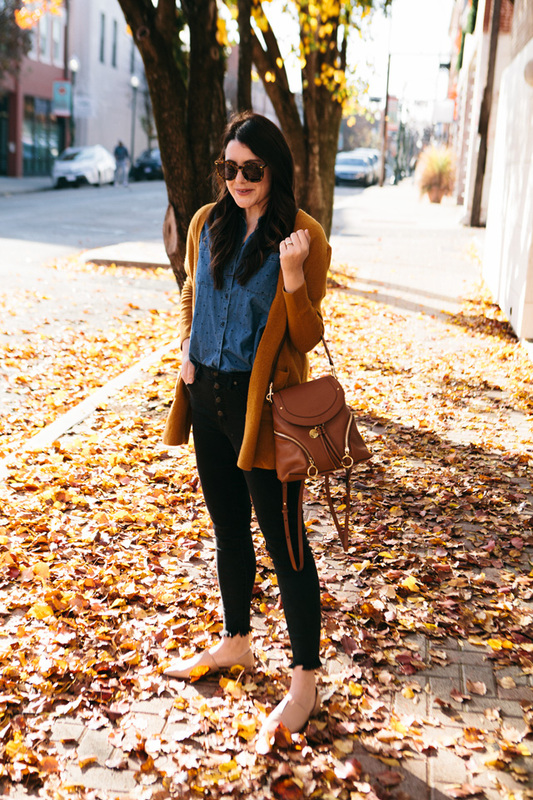 Finally Fall + Mega Madewell Sale! I haven’t been this into Madewell since 2012. Seriously. I’ve got years of posts to prove it, lol. I don’t know if it’s them or me but we are both on the same page and I am here for it. 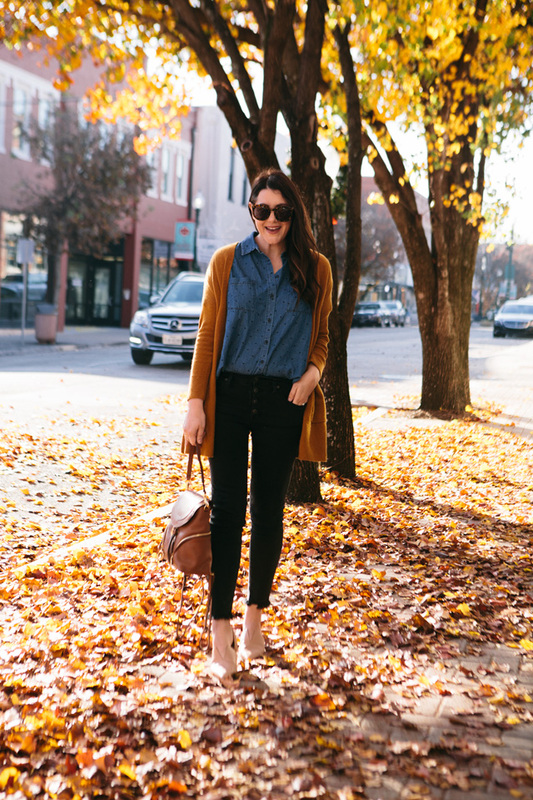 Between Madewell + Everyday & Co, getting dressed is stylishly comfortable and easy. I love finding pieces that can just be thrown on, but they look really well styled. 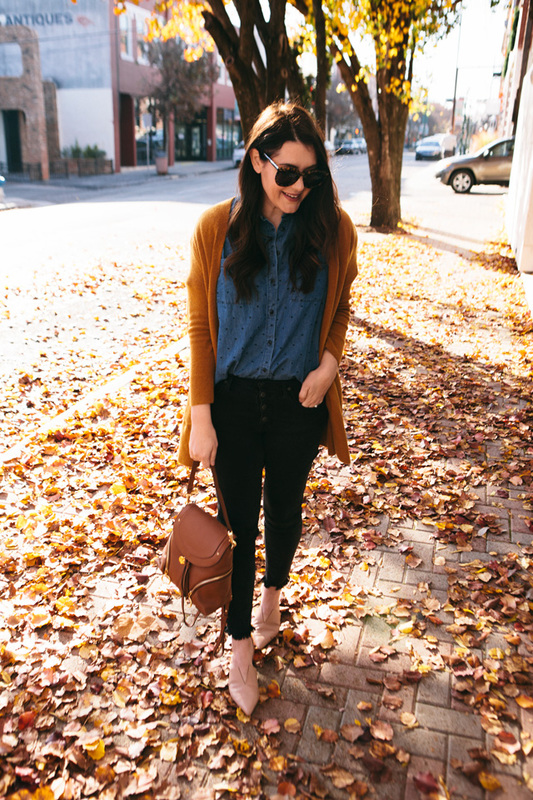 Chambray is in this ‘no-brainer’ category. 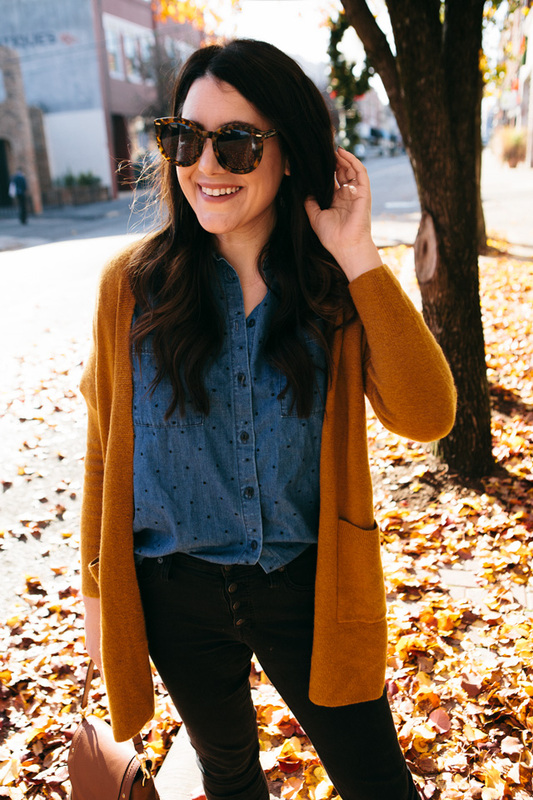 This chambray top actually has small little metallic polka dots all over it but it doesn’t feel to kitsch. It’s done just right so it feels classic, instead of cheesy. 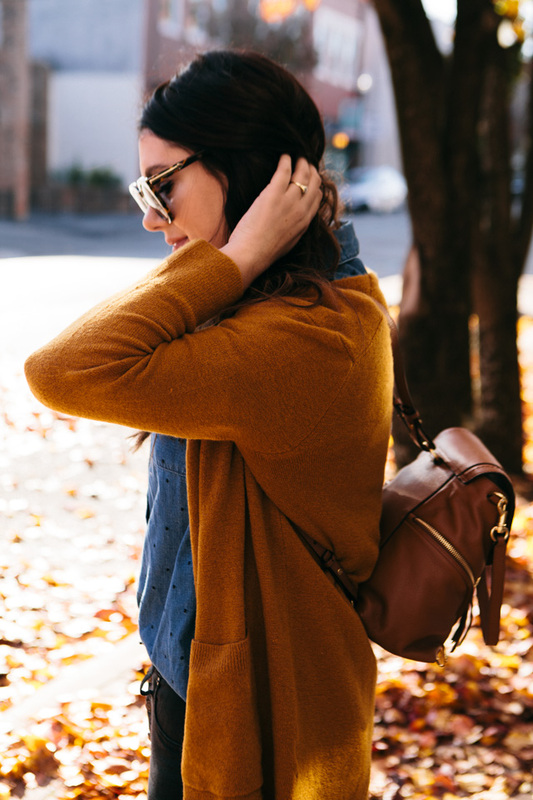 And the best news ever is that it’s in full stock and on sale at Madewell! 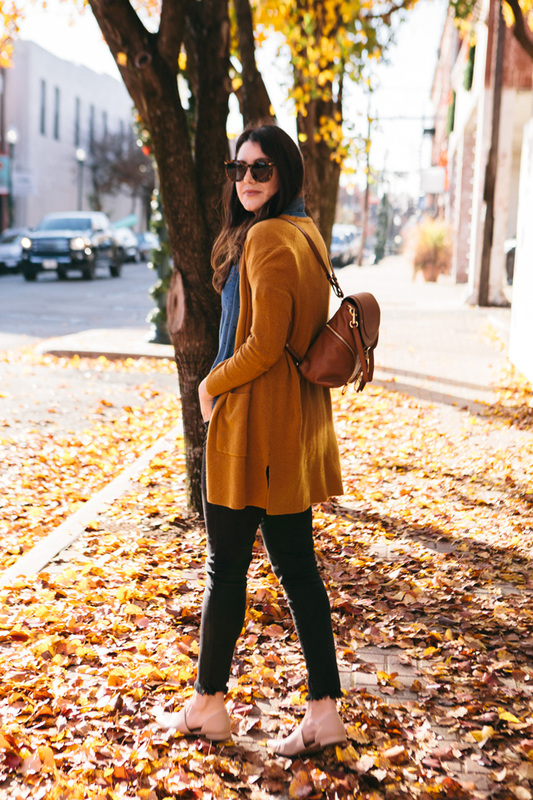 You can find my cardigan on sale here and the sale here. I am in the medium of the top; I find it runs pretty loose/oversized. I would size down if you don’t want it fitting as it does on the model. It fits EXACTLY like that in my true size. The jeans are TTS, but stretch. I’m in the 29, my normal size but if in between sizes size down one. The cardigan fits true (I’m in M) but it’s loose fitting. Size down for closer fit! I’m in the 9.5 in the Vince flats, 1/2 size smaller. I love the Fall weather we have in Texas now! 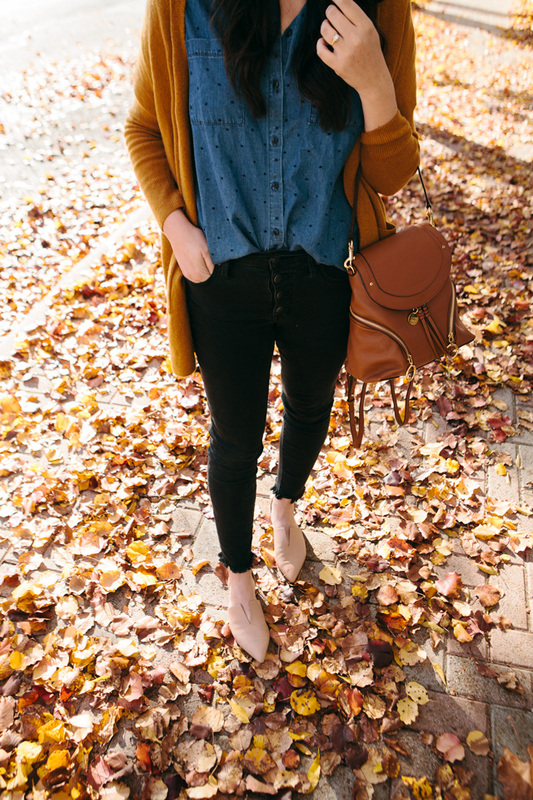 Love this look and yes Madewell!!! Already hooked by the title of this post! 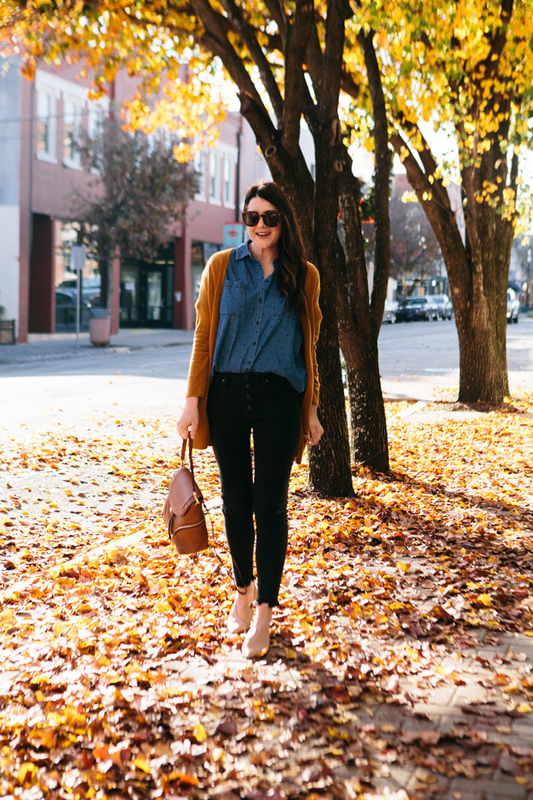 You had me at Madewell sale haha! 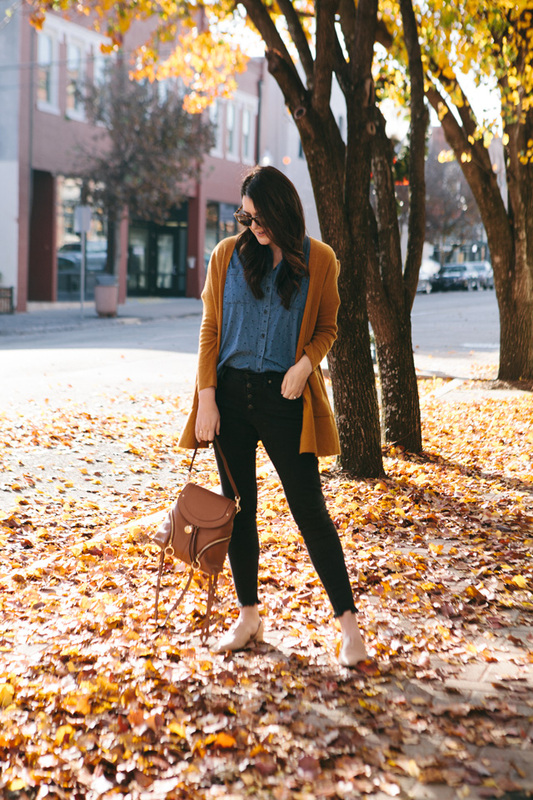 Loving this Fall look!